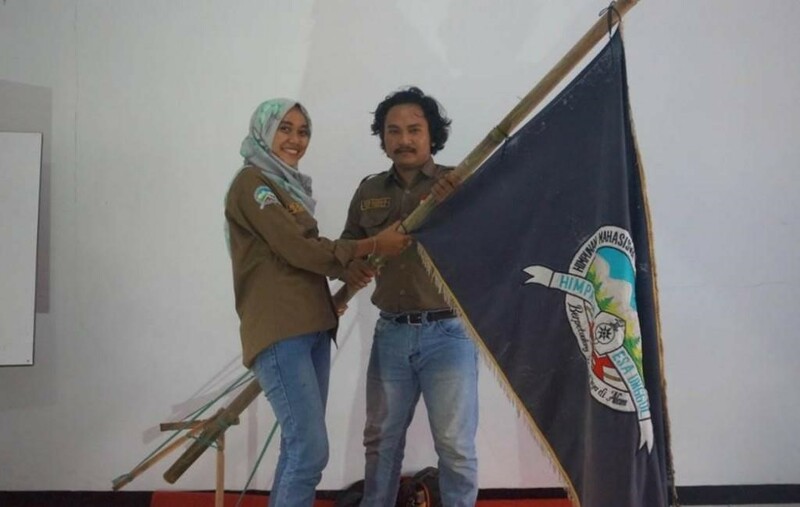 This idea was first proposed by students of ARM (Academy of Medical Records) of Esa Unggul University, who with a sense of responsibility and awareness of the need for a forum that accommodates the interests of students who like to engage in free activities. 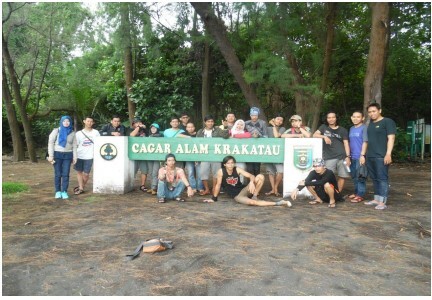 So, IMPALA was formed on May 14, 1991, based in Blora, Central Jakarta. 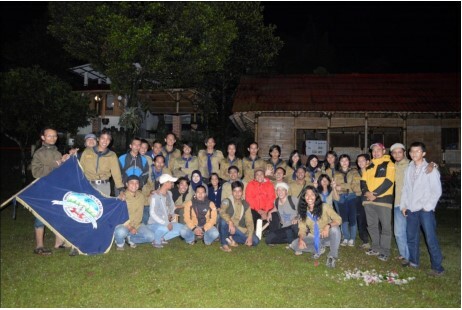 On July 9, 1993, based on the decision of Mr. Anis Latief as PUREK III stated that IMPALA was established as one of the Student Activity Units at Esa Unggul University. And on this date the name IMPALA changed its name to HIMPALA (Nature Lovers Student Association). HIMPALA’s activities consist of adventure by devoting themselves and developing knowledge based on university’s values on education, research, and community service as the main reference. HIMPALA Esa Unggul has three divisions, namely: Forest Mountain, Rock Climbing and cave trek. 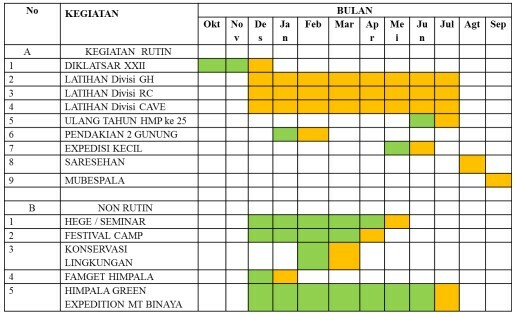 In Gunung Hutan division, activities are more focused on mountain and forest exploration. Rock Climbing Division is performed on artificial cliff climbing activities (wall climbing) and real cliffs (rock climbing). Meanwhile, in cave trek division, activities focused on cave ecology research and cave search. 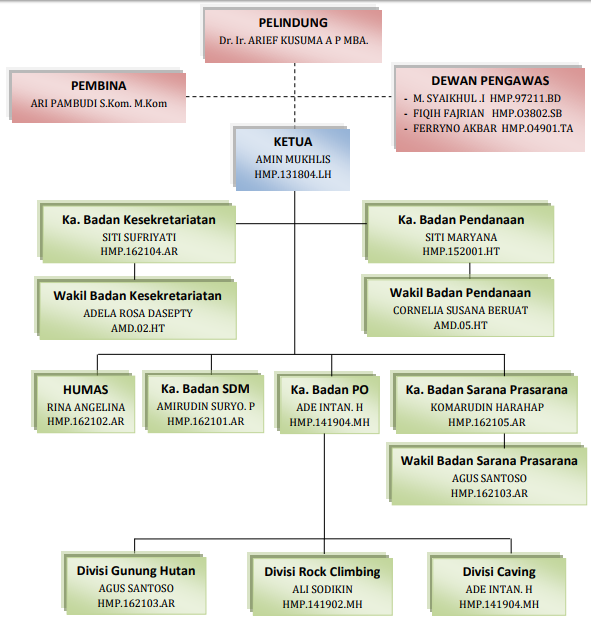 Besides the activities listed above in the organization, HIMPALA Esa Unggul also has an organizational service process in the form of PRADIKLATSAR (Early Education and Basic Training Process), DIKLATSAR (Education and Basic Training), Mountain Leader (Travel in independent leadership), Sarasehan (The final process of inauguration young members become full members) and MUBESPALA (Nature Lovers Great Conference). 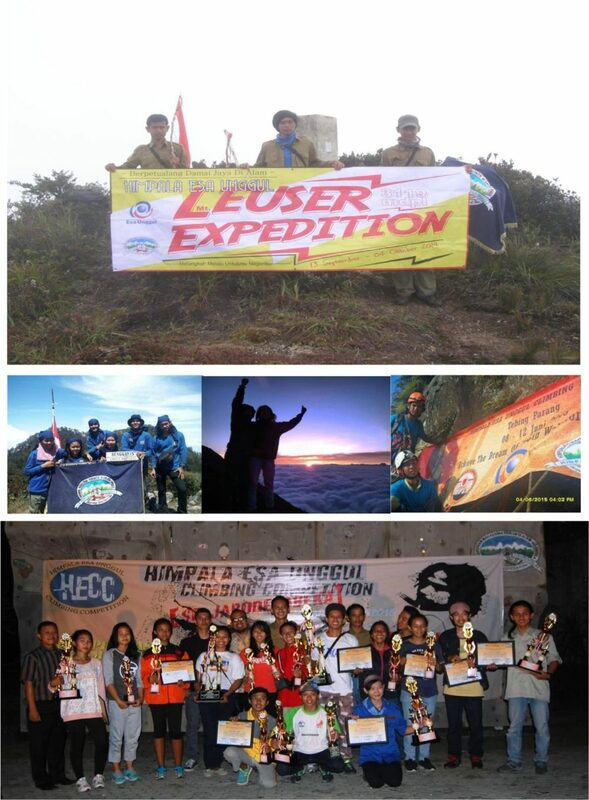 The realization of Himpala Esa Unggul to become a quality and superior nature lovers organization in caderization. Rebuilding the intellectuality and conscience of the members with the achievements of passion in their fields. To practice basic budget and domestic budget (AD / ART) of Himpala Esa Unggul. Organizing positive activities and being able to accommodate the talents and interests of members. Realizing a harmonious and good moral relationship. Building a critical, mental and physical mindset through activities that are more devoted to society and the environment. Increasing funding capacity to continue to support facilities and infrastructure in activities.